Chris Hemsworth, Chris Pratt, Robert Downey Jr.
A decade after the Marvel Cinematic Universe (MCU) launched with 2008’s Iron Man, 2018’s Avengers: Infinity War brings us to a close. Sort of. I describe this “conclusion” in a wishy-washy manner for two reasons. 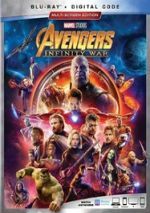 First of all, though it lacks the usual “Part One” designation, Infinity War offers the first of two connected films, so like Harry Potter and the Deathly Hallows Part 1 or Back to the Future Part II, it delivers an incomplete story that won’t wrap up until the as-yet-untitled second chapter in 2019. In addition, Infinity War doesn’t actually bring the MCU to a close – it’s not like they won’t make more Marvel movies after that 2019 Avengers flick. These two films simply conclude the massive overall story arc we’ve traced for the last decade and allows Marvel to move in different directions. Where the MCU progresses after the 2019 Avengers flick remains to be seen, but Infinity War sends us on a truly epic adventure. Intergalactic conqueror Lord Thanos (Josh Brolin) pursues the powerful “Infinity Stones”, and if he collects all six, he can become virtually omnipotent. For what he views as idealistic reasons, Thanos seeks to exterminate virtually half of all life in the universe. Unsurprisingly, this sounds like a bad idea to many, so a slew of superheroes strive to stop him. You’ll notice that I didn’t say “the Avengers strive to stop him”, for the character-based scope of Infinity War goes way beyond the formal confines of that clan. 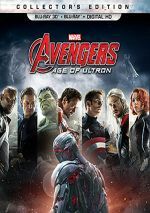 We get the usual Avengers members but the movie tosses in a ton of others as well, so expect an immense roster of heroes. Back when I reviewed 2015’s Age of Ultron, I felt that the flick threw in too many characters. Maybe the creators of Infinity War read my notes and went the “hold my beer” route, as this film makes Ultron look like an intimate gathering. This means we spend even less time with most of the participants, and general depth/substance take a hit. While we get a good sense of Thanos – and by connection, his adopted daughter Gamora (Zoe Saldana), the insane number of characters and locations inevitably makes the story seem rushed and superficial a lot of the time. This doesn’t mean it’s not entertaining, though, particularly via the “mash-ups” we find. Infinity War takes a slew of unrelated characters and plops them together, often with enjoyable results. This means we find combos like Dr. Strange/Iron Man/Spider-Man and Thor/Guardians of the Galaxy. Some of the movie’s most delightful moments come from the sight of these roles blended together. Infinity War also comes with a ton of action, and it pulls off those scenes well. The various set pieces add thrills and excitement to the proceedings. However, the movie lacks much emotional resonance. This occurs partly because it doesn’t give most of the characters much room to breathe, but that’s not the only issue. Infinity War kills off lots of characters - so many that any half-rational viewer understands they won’t stick. I won’t name specific roles that perish – I feel I’ve gone too far into spoiler territory already – but the overwhelming number of deaths ensures that inevitably, most will return to life in the next film. And by “most”, I mean “virtually all”. Will a few of the characters “stay dead”? Probably, but I suspect this fate won’t befall more than two or three characters at most. Maybe I’m wrong and plenty more will remain deceased, but it doesn’t take a genius to figure out a bunch who clearly will return. A simple look at upcoming MCU movies establishes some of these roles, and others feel pretty obvious as well. While Infinity War portrays its deaths in a dramatic, poignant manner, the scenes lack heft and emotion because we know they’re temporary. It’s like when Lois Lane died in 1978’s Superman - the film executed the sequence effectively, but audiences knew full well she would come back to life. Of course, the next film’s excitement will stem from how the Avengers pull off these roles’ resurrection and deal with various threats. That’s a subject for that review. In the audio commentary for Infinity War, the filmmakers state that they don’t view it as a cliffhanger, and in the strict sense of the term, they’re correct. Unlike a traditional cliffhanger, one could view this story as complete – there’s nothing about the finale that demands another chapter. Nonetheless, the claim Infinity War doesn’t offer a cliffhanger seems disingenuous because everyone knows the tale won’t end where it does. Sure, it could, but it won’t – even if we didn’t know the 2019 film existed, we’re fully aware that another movie will have to “resurrect” many/most of those dead characters and restore balance to the universe. Because of this, Infinity War lacks much emotional resonance, and it also simply feels incomplete. That’s a problem with any movie that exists as a de facto “first chapter”, but it seems a little more problematic here, again largely because of all those deaths we’ll see reversed. Even with these complaints, I do enjoy Infinity War, and I liked it more on second viewing. With different expectations and an understanding that it’ll come with some unsatisfying aspects connected to its ending, I could better appreciate it. That said, I suspect that Infinity War will become more compelling when I can formally pair it with the 2019 Avengers movie. It’s erratic but pretty good on its own, and I look forward to an epic double feature that should provide a smoother overall experience. Footnote: one added scene appears at the very conclusion of the end credits. Unlike most MCU flicks, we get no “mid-credits” sequence. 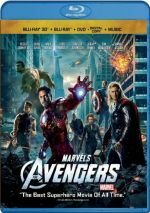 Avengers: Infinity War appears in an aspect ratio of approximately 2.39:1 on this Blu-ray Disc. This turned into a very strong presentation. In terms of sharpness, the image seemed solid. It displayed tight, accurate images from start to finish. I witnessed no signs of jaggies or moiré effects, and edge haloes remained absent. No source flaws marred the image either. The film’s palette favored Hollywood standard teal and orange at times, but it also boasted broader tones, with a mix of reds and purples as well. The hues seemed full and well-rendered. Blacks seemed deep and dense, and shadows offered nice clarity. This became a consistently fine image. As for the DTS-HD MA 7.1 soundtrack of Infinity War, it satisfied just as much as the picture. As anticipated, the many action sequences offered the most engaging moments. These used the various channels to create a good sense of place and action, with battle elements that zipped around the room. Audio quality was positive. Music showed good boldness and clarity, while speech appeared distinctive and concise. Effects came across as accurate and dynamic, with nice low-end response. The soundtrack fit the material and added zing to the proceedings. As we shift to extras, we locate an audio commentary from directors Anthony and Joe Russo and screenwriters Stephen McFeely and Christopher Markus. All four sit together for a running, screen-specific view of story/characters, connections to other MCU films, cast and performances, sets and locations, effects, music, editing, and related domains. While this turns into a generally good chat, it never quite threatens to become great. Perhaps all involved felt a little restricted because they couldn’t discuss elements that will crop up in the next film, but the piece seems a bit “tight-lipped” and without the level of depth I’d like. Still, I think we get a worthwhile listen. The commentary may lack a strong sense of insight but it adds a good mix of facts. An optional Directors’ Introduction lasts one minute, 32 seconds. Anthony and Joe Russo offer some banal remarks, so if you skip the intro, you won’t miss anything. 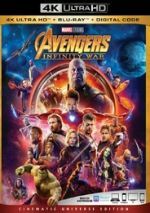 Under Featurettes, we find four segments: “Strange Alchemy” (5:08), “The Mad Titan” (6:35), “Beyond the Battle: Titan” (9:36) and “Beyond the Battle: Wakanda” (10:59). These fill a total of 32 minutes, 18 seconds and include comments from Joe and Anthony Russo, McFeely, producer Kevin Feige, executive producers Louis D’Esposito, Victoria Alonso and Trinh Tran, visual efffects supervisor Dan DeLeeuw, Weta Digital’s Matt Aitken, additional visual effects supervisor Swen Gillberg, stunt coordinator Sam Hargrave, costume designer Judianna Makovsky, fight coordinator James Young, and actors Chris Pratt, Dave Bautista, Don Cheadle, Benedict Cumberbatch, Chadwick Boseman, Robert Downey Jr., Paul Bettany, Josh Brolin, Zoe Saldana, Chris Hemsworth, Mark Ruffalo, Karen Gillan, Danai Gurira, Scarlett Johansson, Tom Hiddleston, and Chris Evans. The featurettes look at combinations of characters, the depiction of Thanos, aspects of the production’s enormity, sets/locations and effects, stunts and action. While we get some useful information, these reels mainly tell us how big and impressive the whole affair is. The clips feel way more promotional than I’d like. Four Deleted Scenes span a total of 10 minutes, 13 seconds. We find “Happy Knows Best” (1:24), “Hunt for the Mind Stone” (1:25), “The Guardians Get Their Groove Back” (3:22) and “A Father’s Choice” (4:02). Jon Favreau’s character goes MIA in the final film, so “Happy” provides an innocuous addition with him. It’s fun but I don’t miss it. An extension to a fight that features Scarlet Witch and Vision, “Hunt” adds tension and probably would’ve worked well in the movie. “Groove” offers a little exposition and some mirth with the Guardians. It might’ve slowed down the story but it’s pretty enjoyable on its own. The most significant of the cut pieces, “Choice” delivers more depth in terms of the Gamora/Thanos backstory. Like “Groove”, I suspect it would’ve made the story drag a little too much, but it’s a worthwhile segment in its own right. A Gag Reel goes for two minutes, five seconds and shows a pretty typical mix of goofs and giggles. At least it’s short! The disc opens with ads for the Marvel: Contest of Champions, Marvel: Strike Force, Spider-Man and Marvel: Future Fight video games as well as Cloak & Dagger. No trailer for Infinity War appears here. With an enormous cast of characters, Avengers: Infinity War provides a truly epic adventure. While it offers excitement, it needs to satisfy so many roles that it can seem superficial, and its existence as the first of a two-part series makes it feel incomplete. The Blu-ray boasts excellent picture and audio along with a moderately informative collection of supplements. I like Infinity War on its own, but I suspect I’ll enjoy it more when I can pair it with the next chapter.